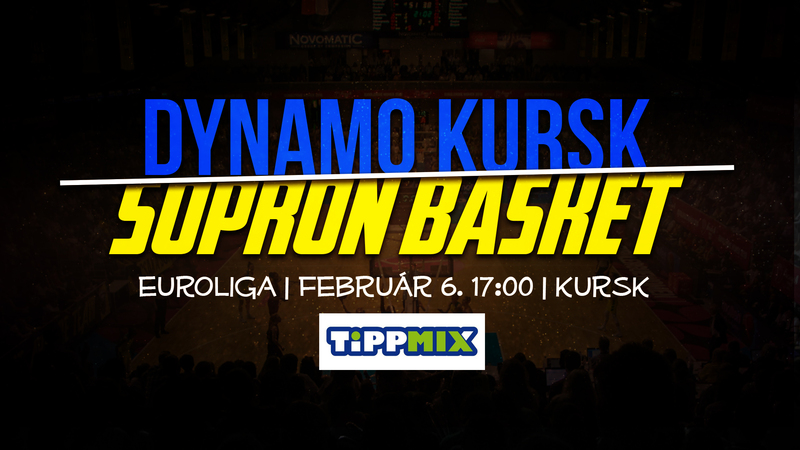 There is only one team with an unbeaten record in Euroleague after 11 games, and it is Dynamo Kursk. On Wednesday from 5 pm Hungarian time we will have to face them on their home court. In December's game in Sopron we made our strong opponents fight hard for their win, by whom the decisive factor was a class showing by Tina Charles. The 31-year-old American star has moved to China since then, where she was offered even higher salary than that of Russia. With her salary's costs freed up they managed to sign two incredible players. With the arrival of Quanitra Hollingsworth, who also has a Turkish passport, and Natasha Howard they now have more options in rotation. That has been an advantage for them already in the last round, where they have beaten the other powerhouse Fenerbahce away from home 75-71 being down by eight 10 minutes before the end. The player of the game was Breanna Stewart. Stewart, who is considered to be the best player in the world finished with a season-high 33 points. In the 11 rounds played in the season so far we were the only team who could limit the star player who is averaging a near double-double (21.5 points, 8,6 rebounds). We limited her to five points in the game in December, although this way we didn't have the energy to do the same with Tina Charles. Of course, our opponents are the big favorites in the game this time as well, but we can be sure, that we are not going to Russia wild our hands held up. In the rough stretch we are in right now our game has become unbalanced, but we are eagerly waiting to see where an almost perfect showing like the one against Szeksz�rd could take us against world class side Kursk. Before the journey on Tuesday morning Amanda Zahui stood in front of our cameras to share her thoughts about the game with us. The game can be followed on Wednesday from 5 pm Hungarian time via live online statistics at the FIBA website, and also via live video stream on the FIBA YouTube channel.